Water Tower Field - Groundbreaking Ceremony Nov. 17! Groundbreaking Ceremony November 17, 2018 at 10:00 a.m.! 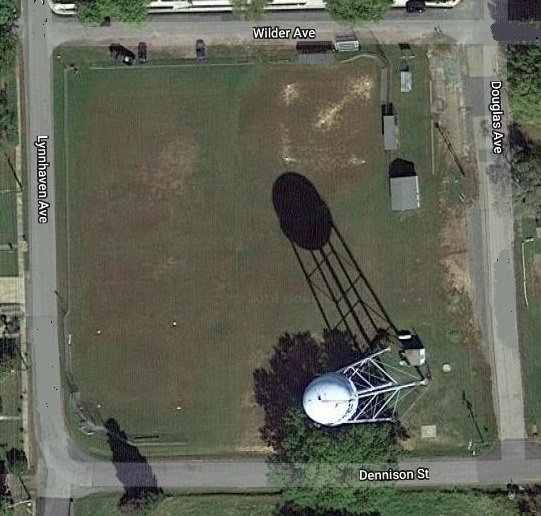 On land once listed for sale, Water Tower Field in Colonial Beach is on its way to becoming a premier sports recreational center for residents and visitors to town. The project, announced in May of 2018 is slated to contain tennis courts, basketball courts, a playground, a pavilion and more! Not the nine or so houses that would have been built had the property been sold off by the town. It did actually have a for sale sign posted fairly recently. That sign was removed from the premises on July 16, 2018. Native son and two-time Super Bowl champion Torrey Smith is behind the creation of the park, reportedly contributing some $185,000 for its construction. The hashtag #TorreySmithRecPark is often used in social media posts about the fledgling facility. Matching funds are being raised in a campaign spearheaded by Coach Steve Swope. The nonprofit Colonial Beach Foundation is facilitating collection of the monies received. The land is being donated by the Town of Colonial Beach. Commonwealth Courts were hired to construct the sport courts. You can also buy a brick with a name of your choice engraved on it. The bricks will be made into an entranceway to the facility. Stay tuned to this page as well as the park's Facebook page for updates! This will be such a great place for all to enjoy!